Your chance to a paid fellowship in Australia with Dr Richard Harvey in Australia!!!! Courtesy MERIT. We present you the biggest sinus event of the year!! 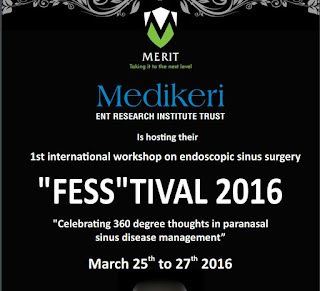 FESSTIVAL 2016 from March 25th to 27th 2016. 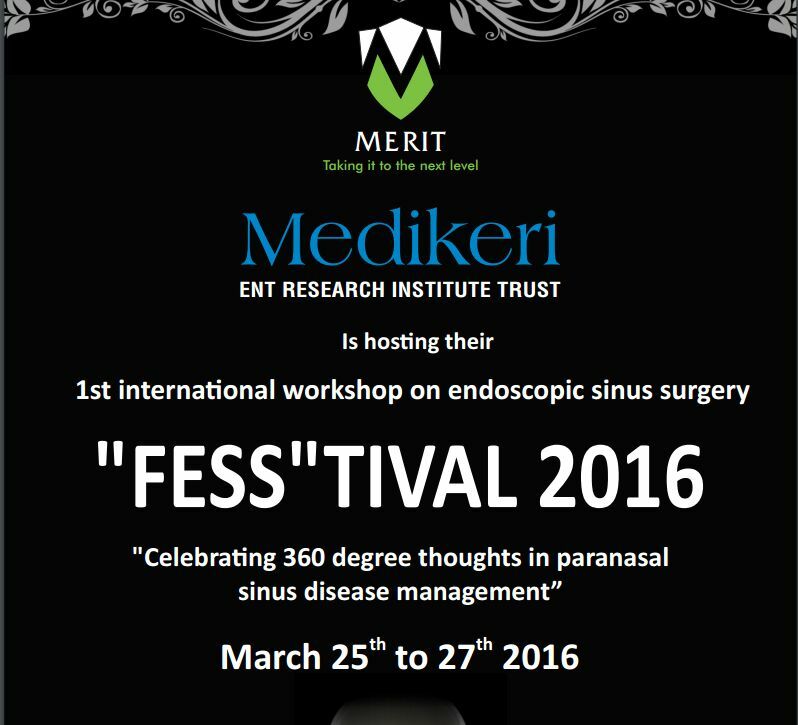 One of the most awaited events of 2016 with a 3 day focus only on sinus related disease upto the molecular level. Hear it from the masters - Dr Richard Harvey & Dr Satish Jain. Tips & tricks in the management of the most difficult cases ever. A case presentation series by delegates - The most difficult case in my ESS career.. The whole goal of this workshop is to train you & educate you to great depths.